The Commercial Glass Specialists at All Service Glass offer a wide range of services, anything from broken glass, window and door repairs to storefront and tenant improvements. No matter the size of your business, we have what it takes to meet your commercial glass repair needs. Our glaziers have years of experience working on commercial window repair and glass installation projects of all types and will work directly with business owners, project managers and architects to get projects done on time and on budget. We are licensed, bonded, insured, and follow all state and local building codes. Our connections with the industry’s top brands ensures that we have access to the best quality products available for your commercial glass project. 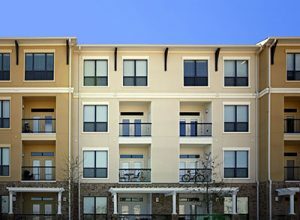 The look and quality of your commercial windows say a great deal about your company as they have the ability to project a professional and reputable image of your business. 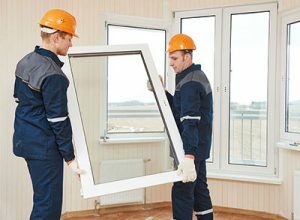 Working with an experienced commercial window installer will ensure your building is getting the best solution in terms of quality, function, aesthetic, and energy efficiency. For trusted commercial glass door repair, All Service Glass has set itself apart from competitors. 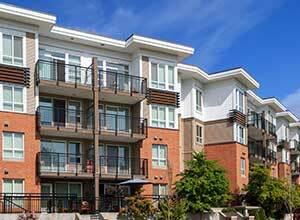 Apartment window repairs are performed by skilled certified technicians. Specializing in commercial storefront repairs, All Service Glass has developed a strong reputation for superior customer service. Garage door glass replacement must be done quickly to restore security. Professional school window replacement installed by a certified specialist. A cost-effective solution to your commercial tenant improvements. 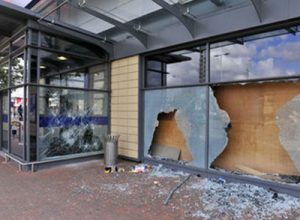 Has your business experienced a break in resulting in broken glass, windows or doors? Are you looking to replace old, worn-out doors, hinges, glass or storefront windows? 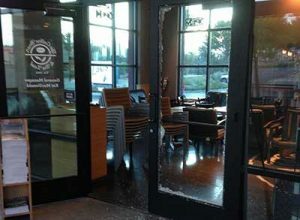 Let us know about your unique circumstances and we can quickly get your businesses condition back to normal with our commercial glass replacement services here in the Gresham OR, Portland Oregon and surrounding area. If you don’t see what you’re looking for on our list, give us a call today! We can special order most glass, windows and doors available. 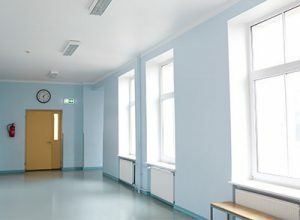 We understand how critical deadlines and budgets can be when it comes to commercial tenant improvement and remodeling projects. All Service Glass is well equipped to handle any challenge that comes their way. By working one on one with owners, contractors and property management companies, All Service Glass brings experience and skill to the project. Helping to find a cost-effective solution to your tenant improvement challenge. With combining our skills and experience with a business owner’s vision to present the best options for a given job, our track record of meeting the needs of businesses means worry less and end up satisfied. Contact us today to discuss your project details and let us help you meet your goals. 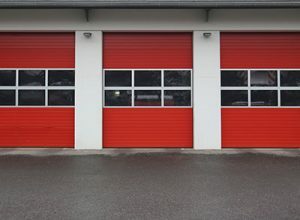 All Service Glass has the skills needed in repairing glass, entrance doors and glass, wood, vinyl or aluminum framing components in commercial storefronts and office buildings. The front of your business sets the tone, impacting customer interest and expectations. A clean, inviting storefront is crucial to the success and growth of your business. At All Service Glass, we pride ourselves in delivering high quality storefronts for small, medium and large businesses alike. 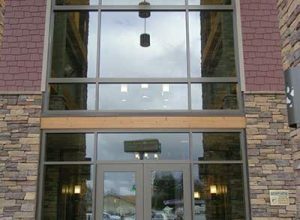 Our commercial storefront experts are ready to help you select glass, frames, doors and colors which will highlight what your business is all about. Be it security, energy-efficiency or curb-appeal that you desire, All Service Glass has the experience necessary to transform the storefront to your business. By offering quick and efficient repairs or replacements, allowing for your business to get back to normal.